‘And now Antony once more sent Caesar a challenge to single combat. But Caesar answered that Antony had many ways of dying’- Plutarch, Lives. The idea of single combat in the Roman Empire immediately evokes the powerful image of the gladiator standing over a downed opponent, his gladius raised for the glory of the patron of the games, the crowds embroiled with the bloodlust so easily awakened. What is less known is this gladiatorial ethos in the context of open battle. Instead of the mobs of the Empire, the spectators would be two opposing armies, cheering on their own champion. It is little known, or at least, rarely described, the tendency of the early Roman Republican armies to engage in an act most commonly associated with their Barbarian counterparts, the art of single combat to decide an entire battle. Most of the evidence available to testify to this Roman ‘Heroic Age’ are accounts written by Roman historians. However, these accounts are often contradictory and incomplete (Cowan, 2007). But if we take extreme care in peeling back the layers and various subtexts, it is possible to maintain the veracity of the stories as strong oral traditions that have been written down. The heroic age of Roman single combat was on the very periphery when Rome stopped being a provincial backwater and started treading the boards of Empire. The act of using champions to decide a battles outcome was a vital component in the evolution of the army as a predatory force with strong idealistic notions. First we must put early Rome as being in the immense shadow of Ancient Greece, and principally in this respect, the Heroic Age. Roman boys with aspirations of military glory would be swimming in literature that reinforces the idea of war as a romantic idyll. The glorification of violence was a staple part of a young boy’s education. Regaled with tales of Achilles and Hector, of Leonidas and his three hundred Spartans, these heroic and romanticised ideas of warfare were burned into their behavioural patterns and attitudes towards the art of war. This can be seen with the adoration of Julius Caesar and Pompey, two lions of the theatre of war who were adored for their actions. Pompey also had a penchant for heroic single action, but more of that in Part 2. Early Rome was heavily influenced by the context it was in, this context being its Mediterranean neighbours to the West, and its Gaulish counterparts to the North. Using champions to decide a battles outcome has taken predominance on many battlefields through time. Arguably the most famous is the legend of David (1010-973 BC) and his epic clash with Goliath: ‘And there went out a champion named Goliath, of Gath, whose height was six cubits and a span… And David put his hand in his bag, and took thence a stone, and slung it, and smote the Philistine in his forehead’ (1 Samuel 17, 4, 49). Slaying Goliath with a single stone in single combat earned King David immortality and is still a story taught today. This trend then occurs in the Hellenic world, with the most famous example being the three hundred Spartan champions facing off against three hundred champion Argives (from the city ‘Argos’ in Peloponnesian Greece) in 546 BC. Herodotus in his ‘Histories’ tells us that this clash of champions was a device used to avoid an all-out and costly war between the two powerful city states. After a brutal and hard fought battle between the six hundred champions, the contest ended with 597 combatants dead. Two Argives and one lone Spartan, interestingly, although to our minds the Argives seem victorious owing to having more than one man left alive and as such the two Argives immediately ran back to Argos to give news of the victory. According to Herodotus however the Spartans claimed the victory as the Spartan was the last to leave the field (Herodotus, Book 1, p.31). Speaking of battles between champions, it would be most prudent to include arguably the most famous of them all, the duel between Hector and Achilles in Homers ‘The Illiad’. It is fair to say this is the ultimate battle between the ultimate warriors. Both men are described as such in Homers wonderful rhetoric: ‘Hector had a sharp, long and weighty sword…braced himself and swooped like a high-flying eagle that drops to earth through the black clouds to pounce on a tender lamb or crouching hare’ and he goes on to say of the mighty Achilles: ‘Achilles poised and hurled his long-shadowed spear’ (Homer, Illiad, p.404). These are the stories that the Romans in boyhood would have so admired and desired to emulate. 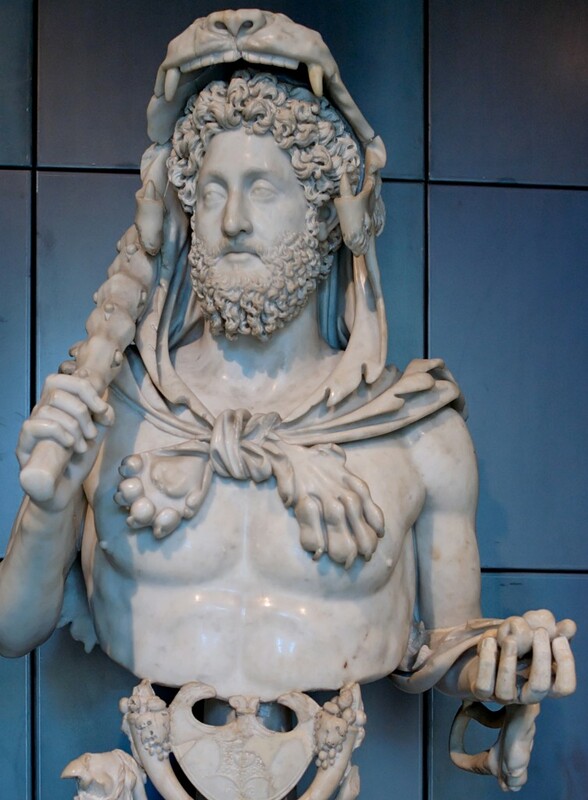 The Emperor Commodus (161-192 AD) believed that he was incarnate of the Greek hero demi-god Heracles. His penchant for the bloody spectacle of the games and of bloodlust, (and one of the only emperor’s to actually partake) he was made famous in the movie ‘Gladiator’. Although a lover of theatrical bloodshed, Commodus was no military leader. He did not have designs on conquest; he merely had a twisted adoration for heroic action, which he would reconstruct through the medium of the Colosseum. Commodus actually appeared in the games. In 192 AD, the last year of his reign. He staged a show with him as the star. Meant to evoke the 12 labours of Heracles, the events included Commodus the ‘hero’, fighting gladiators who were armed with wooden swords and other events to mirror in some way the legends he loved so much. By all accounts the whole event was pure absurdity, with an archery performance that showed Commodus decapitating ostriches with specially made arrows. (Yes you read that right, I said ostriches) This is not the end though; as Commodus then goes on to publicly massacre a group of physically disabled people who were dressed up as mythological creatures to recall the legends of Heracles’s participation in a battle between Gods and Giants. Suffice to say, even to the bloodthirsty Romans this was a touch too much, and Commodus was assassinated soon after. This of course is to illustrate how far these legends of heroism and combat can become deep rooted in a Roman mal. Single combat was a strong and prevalent feature in the Roman mind set due to these epic confrontations in the legends. The very founding of their beloved city was steeped in this tradition. The myth of Romulus and Remus, the most famous showdown in Roman history. In 753BC the story goes that the brothers Romulus and Remus had a rather violent quarrel about where to build their new utopia, Remus wanted it to be founded on the Aventine Hill, and Romulus opted for the Palatine Hill. Romulus started to build the walls on his chosen hill anyway; Remus sneered at the wall and jumped over it to prove the folly of his brother’s endeavour. The Roman legends that follow are of two types of single combat, the pre-arranged combat before a battle; and of the other kind in which a duel was fought in an opportunist manner, in the heat and violent emotion of battle. 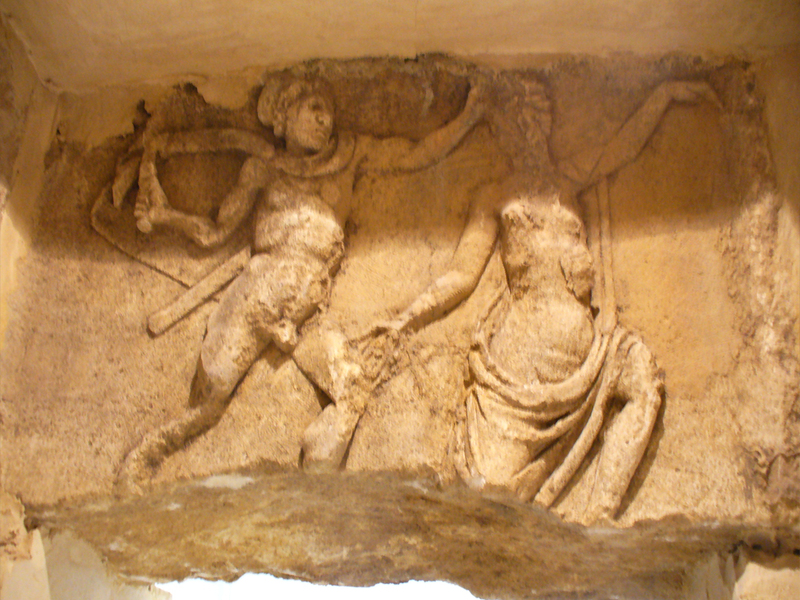 Roman literature is laced with stories of soldiers performing heroic deeds. However, there is one that truly defines the notion of being a gladiator from within the ranks. He is justly the most famous legionary there was. This man’s name was Dentatus, or to be specific, Lucius Siccius Dentatus (d.450BC). Dentatus was not just a Roman hero; he was a hero of the plebs, the masses of common people who were the real cogs in the Roman machine. He rose from a humble legionary to the position of Tribune of the Plebs by the time of his death. This is a story admired by the Roman people, the very embodiment of heroic virtues. Dentatus was almost certainly a real historical character, but when tales of his deeds were finally committed to the written word in the first century BC by Varro, the oral story had gone through several re-takes and embellishments from other Roman legends, much like the tales of Robin Hood. Pliny tells us that Dentatus had ‘forty five scars at the front of his body, but none on his back’ (Pliny, The Natural History). At 27, when Dentatus was a humble legionary in the 2nd legion, they had a battle with the Volscians, who were an Italian people much like the Samnites in so far as they were constantly at war with Rome in the first years of its Republican history. The legion lost the battle and to further twist the knife, the Volscians took the sacred Legion standard as spoils. Dentatus took it upon himself to rescue them. He did this spectacularly, according to Dionysius, by single handedly retaking them through force of arms and thus ‘saved the centurions from everlasting disgrace’ (Dionysius). His story continues in equal heroic fashion. Dentatus was promoted to ‘Primus Pilus’ (First Spear Centurion) of the 1st Legion as a result of his heroic actions. Dentatus according to legend served for 40 years. He fought in 120 battles; won 9 single combats, and stripped the spoils of 36 enemy warriors. His death too is steeped in heroism. Dentatus had worked himself up from a common legionary to the tribunate in 450 BC. He had made many political enemies by this point and they plotted his downfall. He was lured into an ambush, and set upon by many men. Dentatus killed many of his attackers before this lion of a man was finally brought down. It was said that his dead body was circled by that of his slaughtered final opponents. The early Imperial commentator Valerius Maximus stated that Dentatus had earned enough decoration to supply an entire legion (Cowan 2007). The cognomina of ‘Denatatus’ which means ‘having jagged teeth’ has been perceived as meaning he was ferocious, although as these cognomina used by the Romans were often derogatory, it could equally mean he just had bad teeth. Dentatus was used as an example for the ultimate soldier throughout the Roman Empire’s history, with many writers attesting and further embellishing his achievements. However it is not the veracity of the stories that is important, it is the stories themselves. Clearly Dentatus, according to the Romans, was the ultimate Roman soldier, he epitomised Roman ideology in warfare as he sacrificed himself on many occasions to preserve the sanctity of his legion, and in doing this, of Rome itself. He was indebted with the very virtues the Romans regarded as essential in war; strength and honour. These stories may indeed be just stories, even if just grounded in some form of fact. What is important is that subsequent Roman commanders and soldiers would believe these to be the gospel truth, and would take moral guidance from them. These were the stories that helped shape the Roman mind set towards the conduct of war, and in some way would be one of the defining factors of what made the Roman military machine the greatest in history. In the next part we look at the Roman commander’s surprising role in the art of single arranged combat. We will look at the penchant for sacrificing themselves and the eventual banning of these commanders to engage in single combat by the Roman law. These will further increase our understanding as to the other side of the Roman military coin, working as a unit won them an empire, but working on their own, earned them legendary status and filled the ranks with a sense of duty to outperform those who had gone before. Goldsworthy, A. ‘In The Name of Rome’,2003, Phoenix, London. Herodotus, ‘Histories’, Herodotus, Book 1, p.31, Quality Paperback Book Club, NY USA. Cowan, R,‘For The Glory of Rome’, 2007, Greenhill Books, London. Durschmied, E ‘From Armageddon to the Fall of Rome’, 2002, London. Potter,D, ‘Emperors of Rome’, 2007, London. Homer, ‘The Illiad’, 1950, Suffolk, Penguin Classics, p.404. Tactitus, ‘Agricola and the Germania’, Penguin, 1975. Suetonius ‘The Twelve Caesars’, Penguin, 1989. Rodgers, N, ‘The History and Conquests of Ancient Rome’, 2010, Anness, London. ‘Santosuosso, A, ‘Storming the heavens: Soldiers, Emperors and Civilians in the Roman Empire’, 2004, Pimlico, London.